You should really come! If you don’t have the five dollars I will loan it to you. Really, it’s going to be great. Challenging and smart and racy and loud and new. Here: Details: Which I stole from Amy King! Monday, March 1, 2010 @ 6:30 p.m.
WILLA (Women in Letters and Literary Arts) presents readings along with a panel discussion on the state of women’s literature today. Participants, all of whom are integrally involved in the organization, include poets Cate Marvin and Erin Belieu, co-directors of WILLA; poets Anne Townsend, Amy King, and Natalie Bryant Rizzieri; creative nonfiction writer Barrie Jean Borich; children’s authors Laurel Snyder and Kekla Magoon; and fiction writer Susan Steinberg. Poet and New School Writing Program faculty member Mark Bibbins moderates. Probably you should do what that cute little bird says! I can post pictures again! YAY! 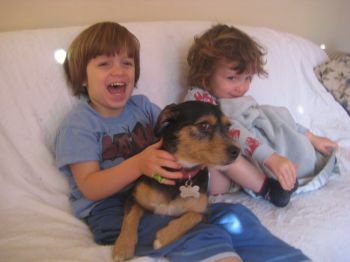 So here you go, Mom… Lucy and the boys! Please judge these books by their covers!!! Introducing PENNY DREADFUL! Coming to a bookstore or library near you in fall, 2010. Which is NOT Chattanooga. No, definitely not. And is baffled by the world, until he meets up with the lovely Rabbi Rosen. I am feeling very very very lucky to have worked with Abigail Halpin and David Goldin on these books. VERY LUCKY! Sorry I haven’t been blogging. There’s a lot going on over here. Writing. Revising. Avoiding mess. Cleaning out the garden. Tuggling the kids. Gearing up for a slew of spring travel. I’ll be in Los Angeles, and Seaside, FL, and NYC, and Baltimore and DC. Also Charlotte and Asheville. And somewhere in all of that madness, if my husband finds a new job, we might be moving. To wherever that job happens to be… whatever it is. ACK! So of course it only seemed very sensible to GET A DOG! Because we needed more mess and trouble. Since he’s all over the internets, I’m pretty sure it’s okay to unveil BAXTER, The Pig Who Wanted to Be Kosher! I can’t find an image link for him yet, so you’ll have to actually visit the site to see. I love him. I LOVE him. David Goldin did NOT pluck him right out of my brain. He went somewhere way better! 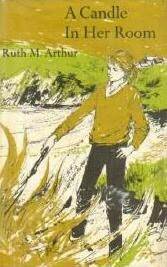 Do you remember Ruth M. Arthur? Well I do. I loved her books. Adored them. But they are all out of print, I think. So I wondered what it would take to harass the right people, see if we could maybe bring them back. Do you think it might be possible? Let’s start with A Candle in Her Room. Remember Dido? I still shiver when I think of her. I have no idea how to go about this. Arthur died in 1979. I don’t know who controls her estate, or even if Macmillan was the last edition. (on Worldcat it looks like this is the last edition) But it seems crazy to me that a dark weird magical novel like this is out of print. I’m pretty sure it would sell. Anyone have any ideas on where to begin? Or know anything? Since as I’ve already admitted, I haven’t the first clue. This is dumb, because these things shouldn’t matter. They really shouldn’t matter at all. Penny Dreadful is being blurbed by Rebecca Stead and Jennifer Holm! 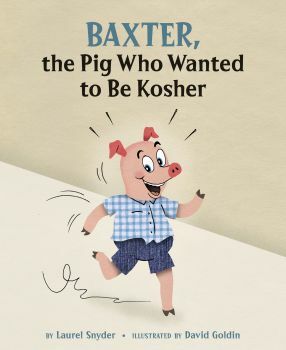 Baxter, the Pig Who Wanted to Be Kosher is being blurbed by Lemony Snicket!!! Des that make you want to add them to your Goodreads list? Does it? Huh? Huh? 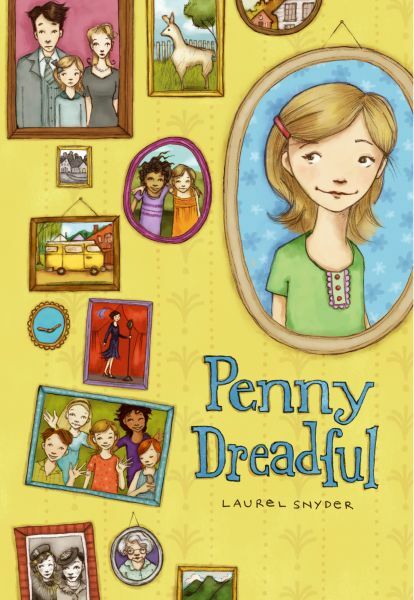 You are currently browsing the Laurel Snyder blog archives for February, 2010.